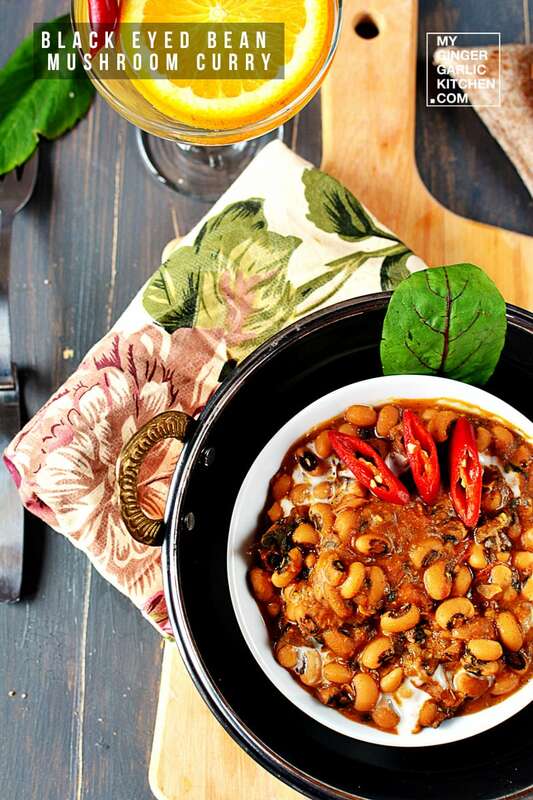 Black-eyed Bean Mushroom Curry is a spicy Indian curry and an easy side dish, prepared with black-eyed beans, sautéed mushrooms, and spices. 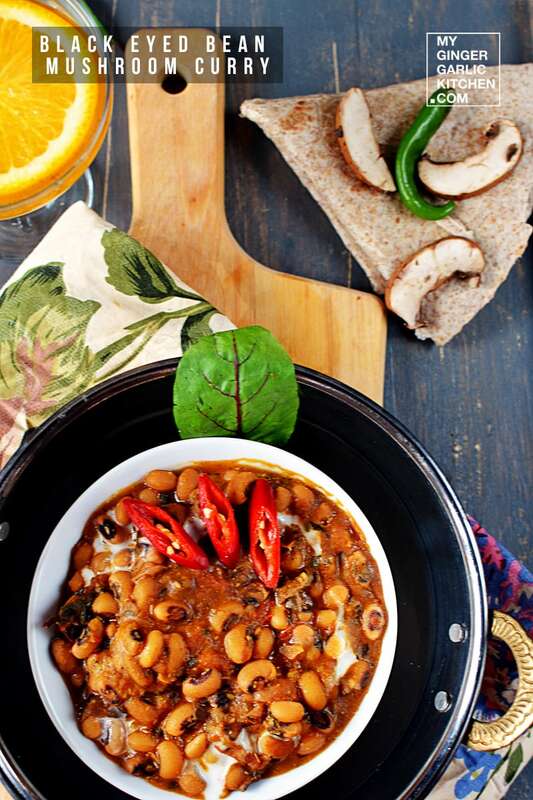 Soft and creamy black-eyed beans are full of nutrients, and adding mushrooms make them more enjoyable with a distinct flavor. 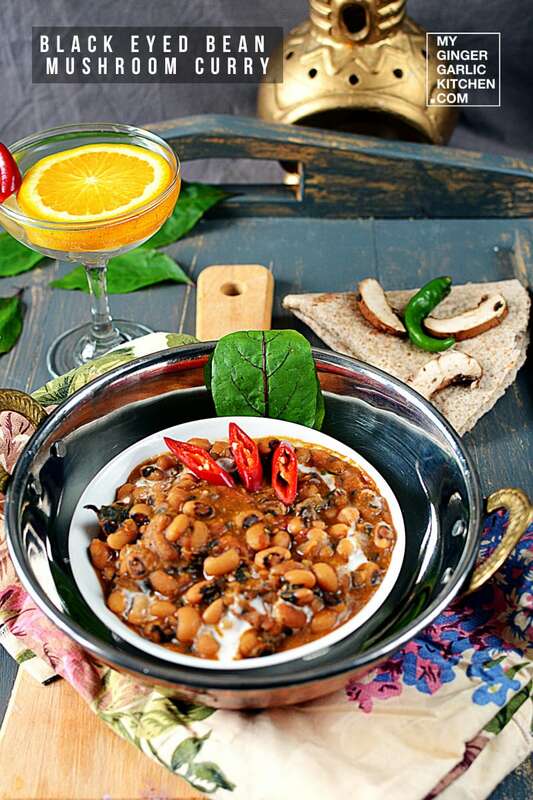 Addition of spice powder to this black-eyed bean mushroom curry adds more taste. 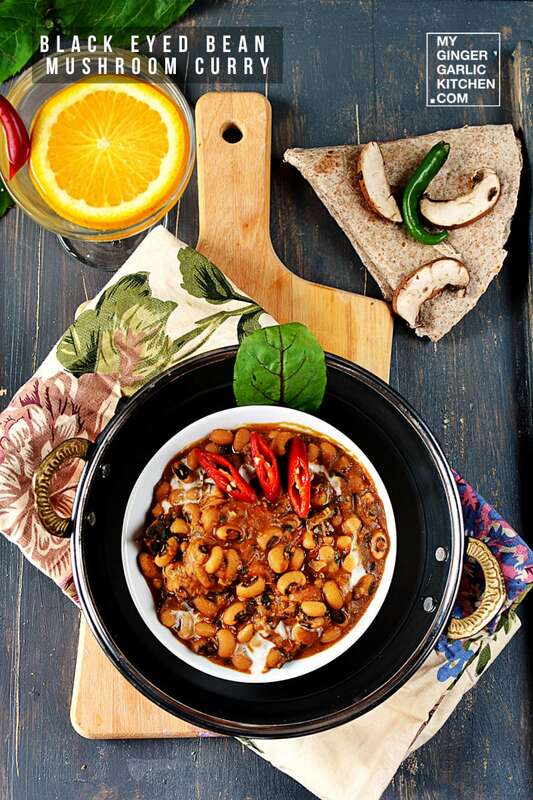 This curry is a beautiful combination of black eyed peas and mushroom, as both are rich in protein and fiber and makes a satisfying meal, and well served with steamed rice, or any of your favorite flatbreads. 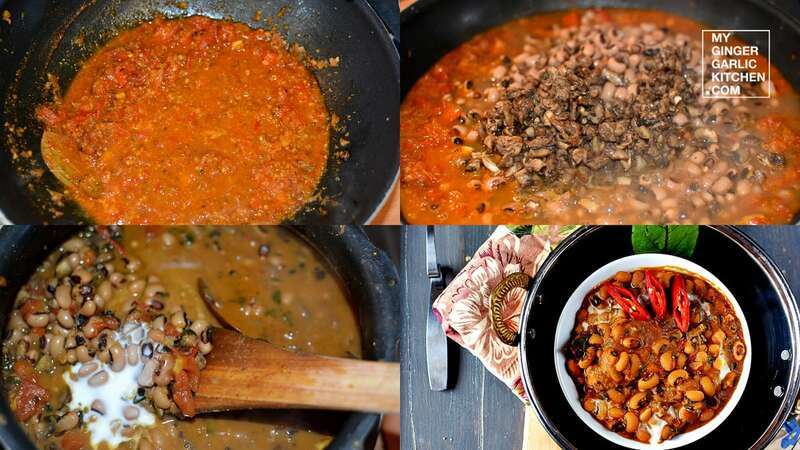 Let’s learn to cook Black-eyed Bean Mushroom Curry in easy to understand quick steps. Take a pressure cooker. Add black eyed beans with salt, 3 cups of water, and cover the lid. Cover the lid, and pressure cook for 6 whistles. Let it cook on low heat for about 10 minutes. When the cooker has cooled off, open it. Heat a pan, and add 1 tbsp oil to it. Add chopped mushrooms and sauté for 3-4 minutes. Transfer sautéed mushrooms to a plate. Heat 3 tbsp oil in the same pan. 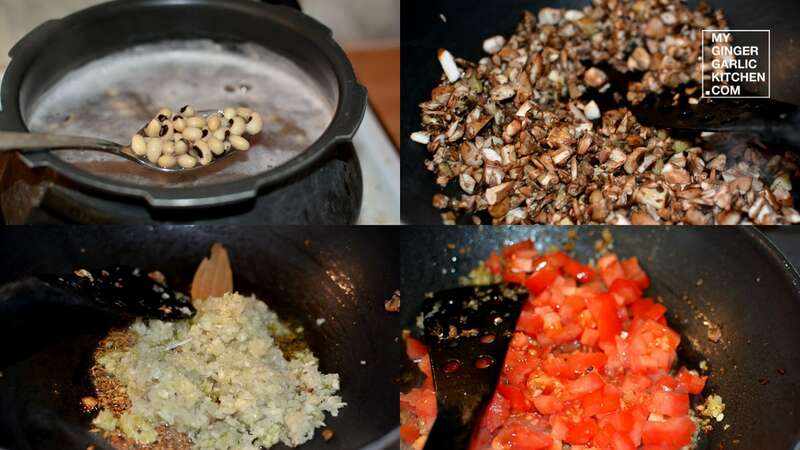 Add cumin seeds, and bay leaf to it. 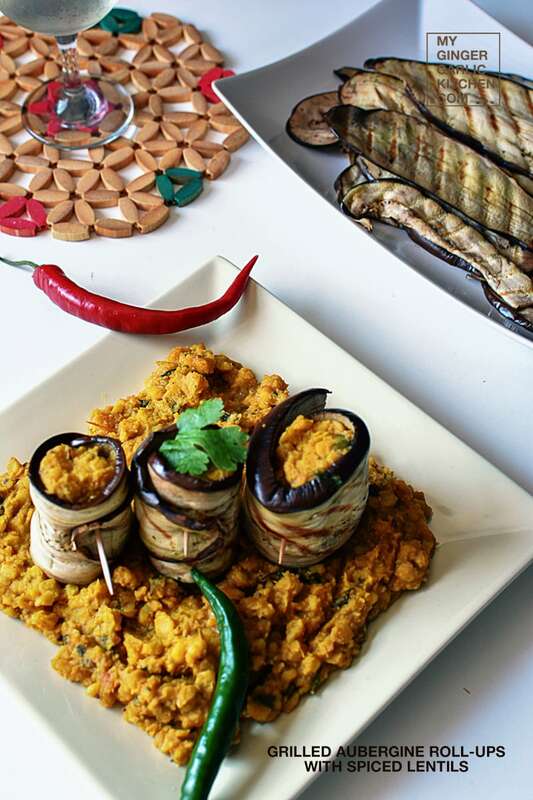 When cumin seeds start to crackle, add onion, ginger-garlic paste to it. sauté for 5 minutes. Add chopped tomatoes, and saute for 3 minutes. 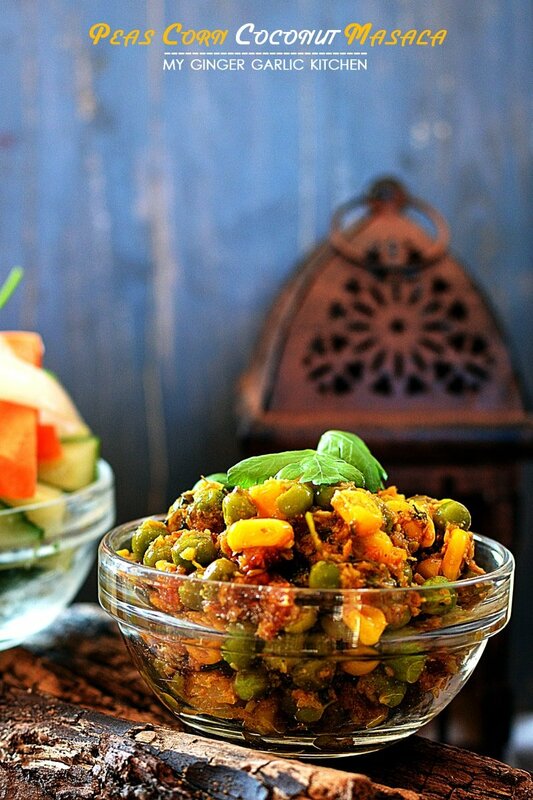 Now add coriander powder, chili powder, turmeric powder, curry powder, and salt along with ½ cup of water. Cook for 5 minutes. Add cooked beans, and sautéed mushrooms. Mix well and cook for 7-8 minutes on medium heat. Add milk cream, sugar, and garam masala powder to it. Cook for another 5-6 minutes. Remove from heat. 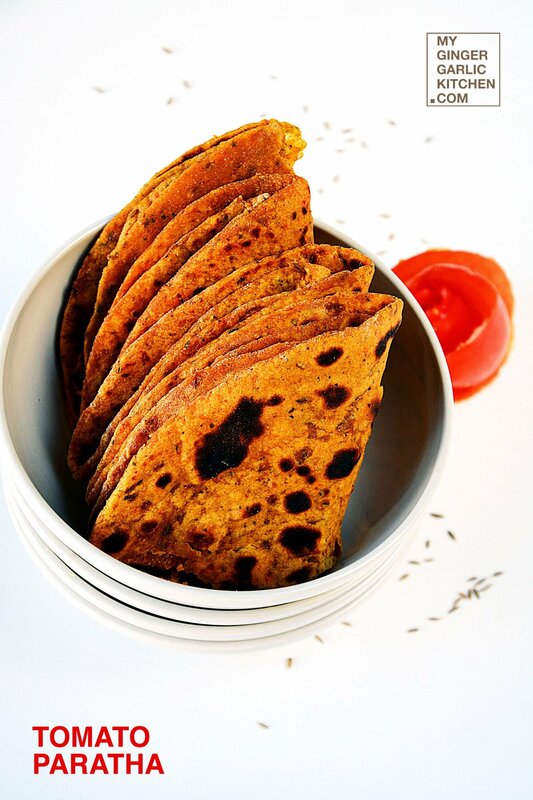 Serve hot with rice or any of your favorite flatbreads. Props & Styling: I used some raw ingredients, a wooden board, and a floral table cloth for styling. 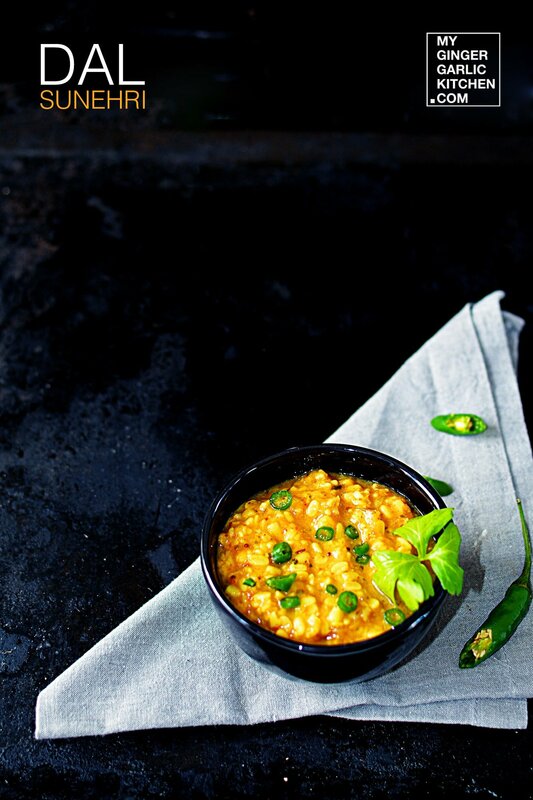 I also used a dark wooden board as a background, which are making these curry photos more alive. Angle: I clicked these photos with 90°, 70°, 50°.